What version of the .NET Forms Control am I using? How can I check the version of the .NET Forms Control? 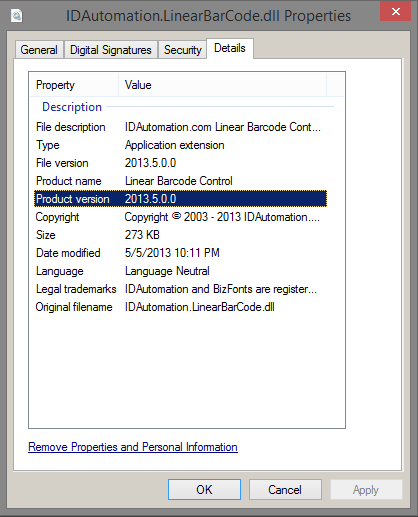 To locate the version of the IDAutomation .NET Windows Forms Control, right-click the Forms Control dll file and choose Properties. Select the Details tab.